After the Bonneville Salt Flats, we left Utah, entering Nevada. Our destination? San Fransisco. 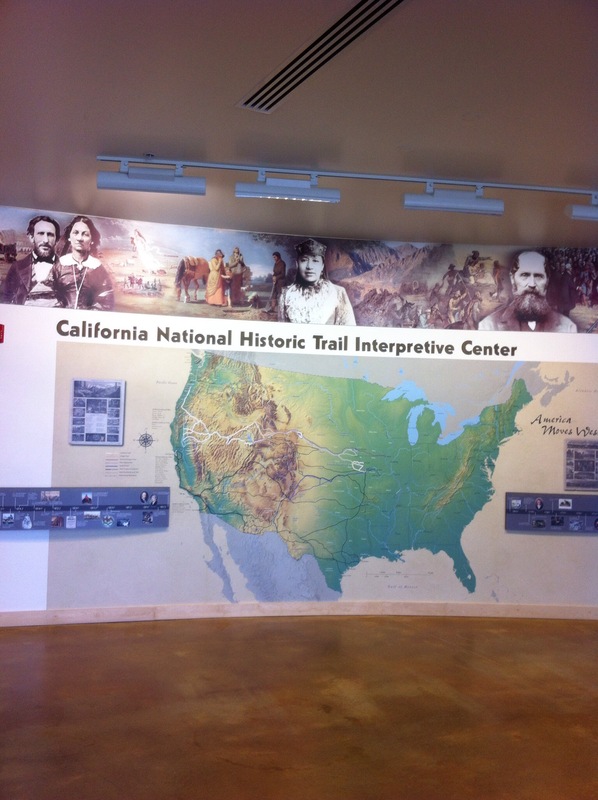 As we were heading to California, and I-80 follows, more or less, the path of the pioneers through the desert on the California Trail, we were very pleased to come across the California Trail Interpretive Center outside of the town of Elko, NV. The museum, a cooperative effort between the state of Nevada and the National Bureau of Land Management, is quite new, only opening about two years ago. 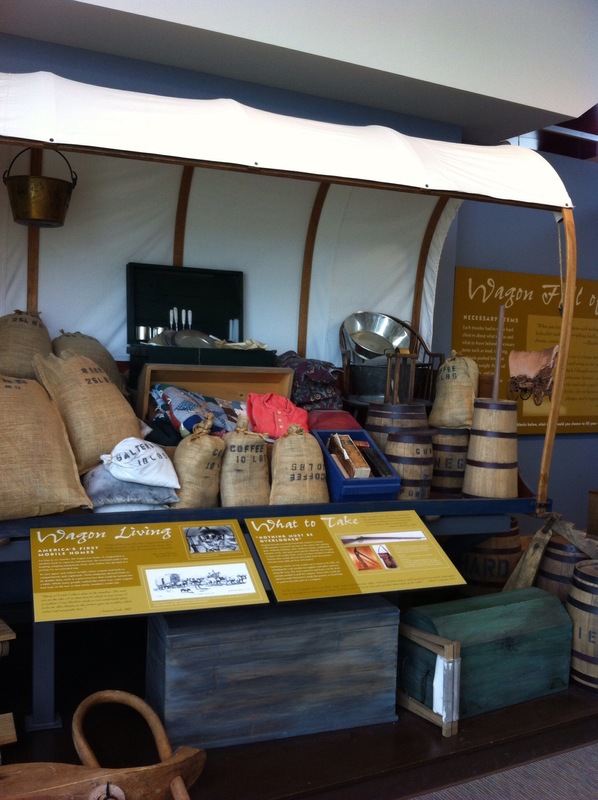 With life size dioramas and interactive activities, the sparking new museum lays out the challenges faced by pioneers making the trip to California. 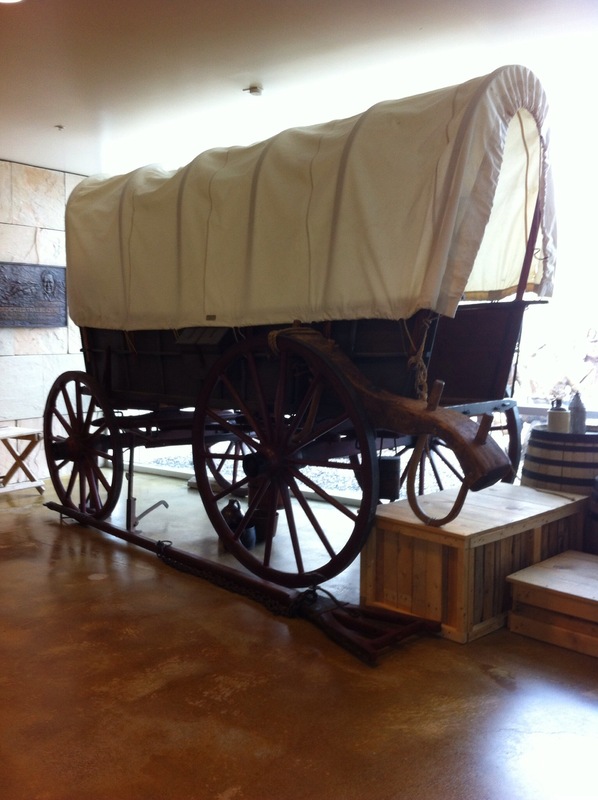 As our station wagon is currently loaded with all our possessions, we enjoyed the activity challenge of packing a covered wagon for the trek, and we felt new appreciation for both rest stops and air conditioning. 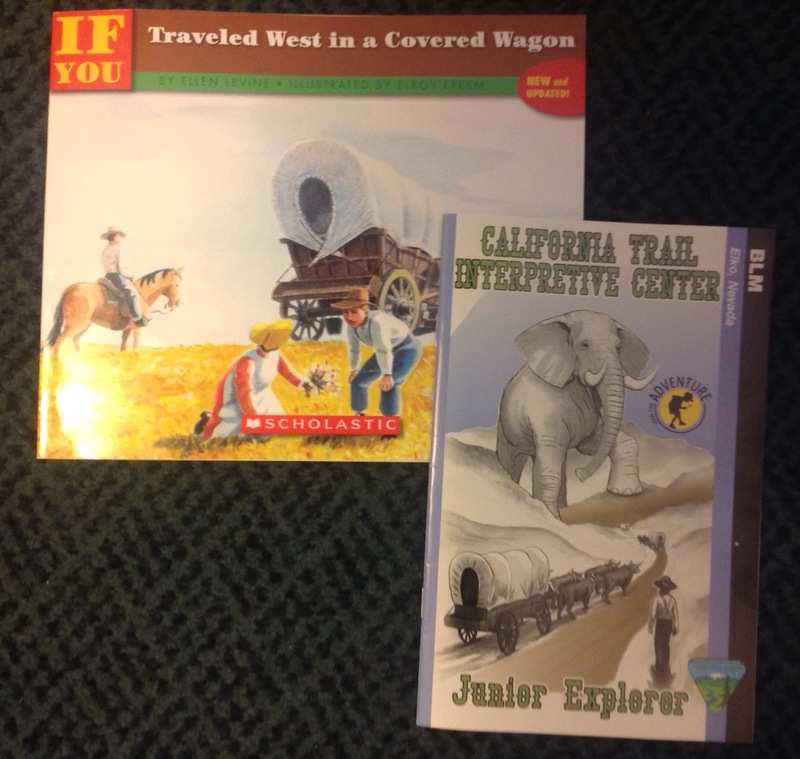 While not a National Park with a Jr. Ranger, the museum offered a Jr. Explorer activity book, which Boy completed as his school work for the day. 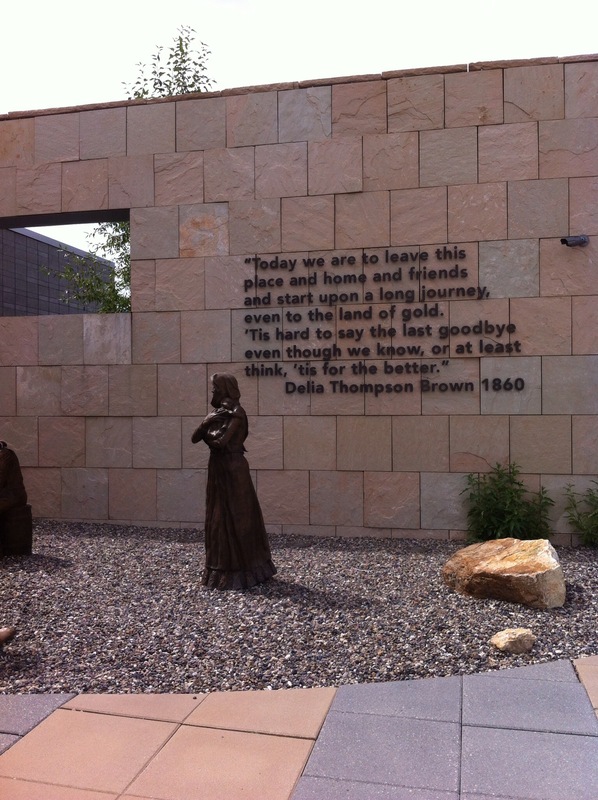 This entry was posted in Family Travel, Roadschool, Roadschooling, USA. Bookmark the permalink.